What if you could walk on the holy grounds of the Brewery Duvel Moortgat? Visit the world famous beer pipeline in Bruges at Brewery de Halve Maan? And, meet Frank Boon, mastermind behind the famous Geuze Boon, all during one spectacular beer tour? Beer tour producer and guide Stu Stuart, and his Belgian Beer Me! Beer Tours can make your dream come true with his special Belgian Family Brewers Beer Tour of Belgium, Sept. 1-10, 2018. Stu has more than 10 years of experience in producing eventful beer tours of Belgium and bringing in beer travelers from around the globe. As the world’s enthusiasm for finer beer continues to grow, Belgian Beer Me! 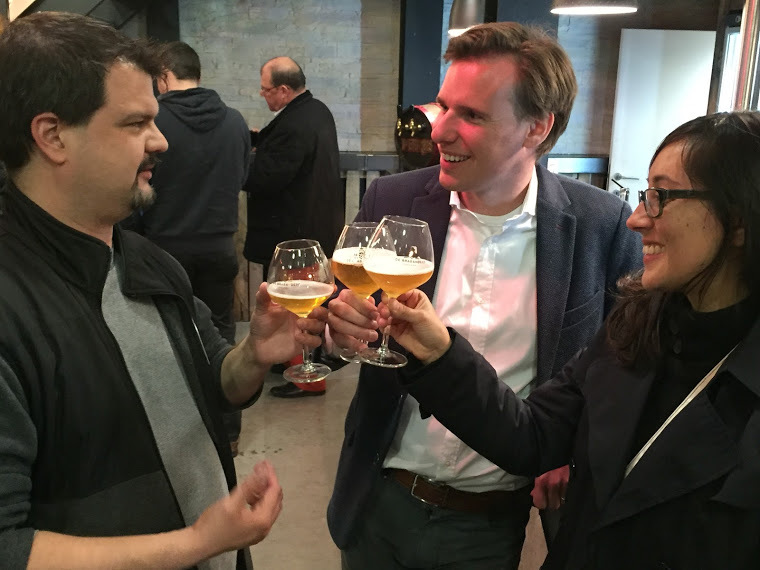 brings people to Belgium to explore the roots of many traditional Belgian beer styles and meet the families behind beers such Scaldis (Bush), Lindemans and Gouden Carolus. 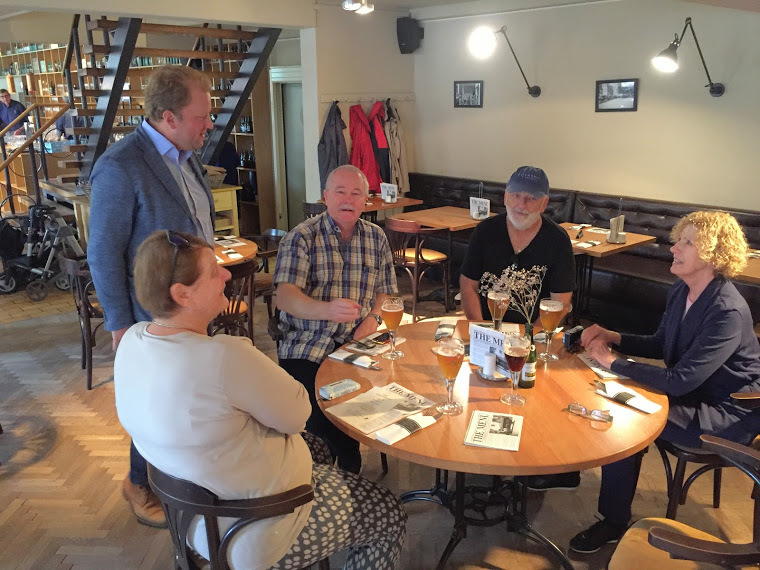 With a focus on quality, Stu, through his personal relationships and friendships with Belgian brewers is specialized in offering his groups access to breweries and locations that are sometimes not typically open to the public. No greater feeling than tasting a beer in the brewery. We are proud that Belgian Beer Me! has an entire tour dedicated to our members. The Belgian Family Brewers (BFB) Beer Tour of Belgium reveals the story of our 21 breweries, their families and their beers. You will learn the history of brewing in Belgium, meet our brewers and of course get to enjoy some very exclusive beers. You’ll explore the history of saison at the Brasserie Dupont, Brasserie Silly, Brasserie Dubuisson and Brasserie St. Feuillien. 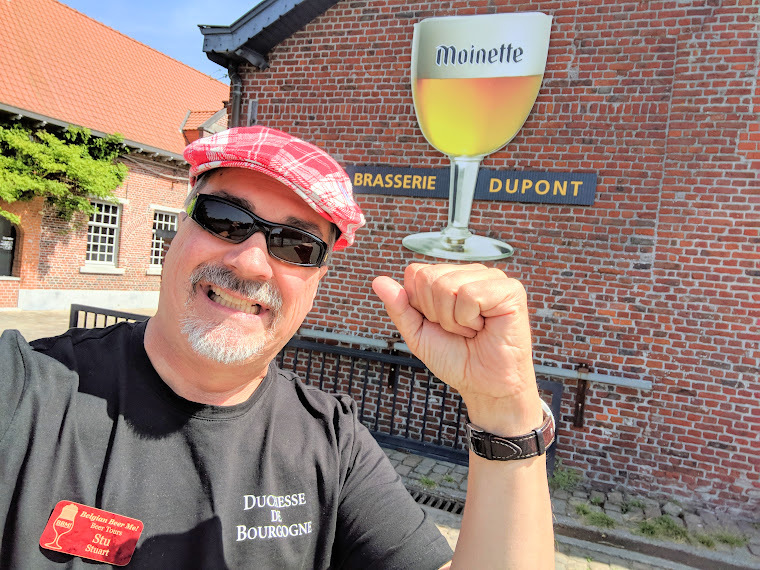 You’ll learn about Flemish Red/Browns at Brewery Strubbe, Brewery Omer Vander Ghinste, Brewery De Brabandere and Brewery Verhaeghe, home of Duchesse de Bourgogne. 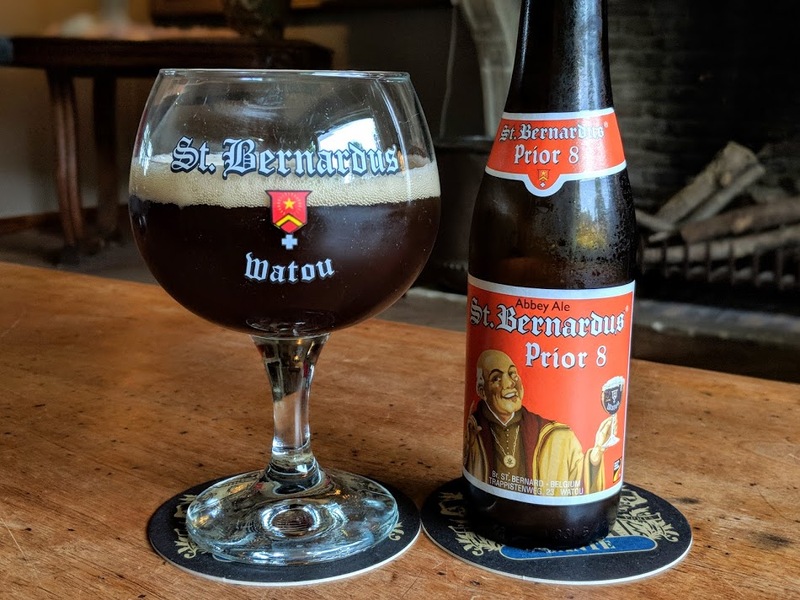 You’ll enjoy the world famous beers of Brewery St. Bernardus and stay in the grand Brouwershuis right on the grounds of the brewery. You’ll see and meet the families behind our members, such as the mother, daughter and son team of Brewery De Ryck. An exclusive meet and greet with Bert, owner of De Brabandere. Sounds great, doesn’t it? The tour includes your hotels, ground transportation, about half your meals and brewery tours, where you will meet some of the families, who continue the proud brewing tradition. This tour overnights in Antwerp, Bruges, Watou and Brussels. As a bonus, you will participate in the famous Belgian Beer Weekend Beer Festival, held on the magnificent Grand Place in Brussels. Having lunch with Xavier Vanneste at De Halve Maan, home of Brugse Zot and Straffe Hendrik. You can find all the information about the tour on the website of Belgian Beer Me! Tours. Also, be sure to follow along with current tours on the Belgian Beers Me! Facebook page.